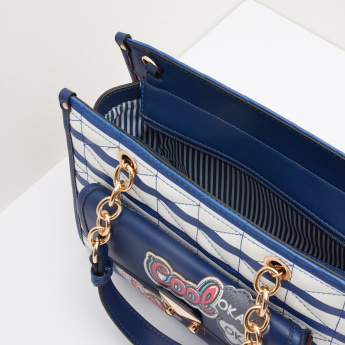 Lightweight and easy to carry, this handbag features twin handles and a detachable shoulder strap. 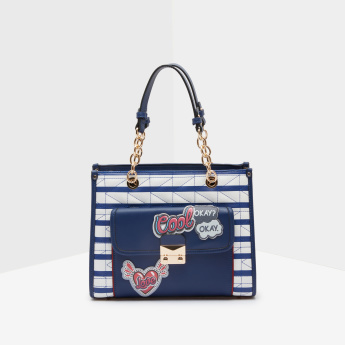 The striking striped design and the badge details heighten the appeal of the piece. Featuring multiple pockets secured with zip closure, the contents of the bag are secured.